There are certain bands that you hear recordings of, and they're decent, good even, but when you see them live, it changes your perception all together; that is The Silent Comedy. The Silent Comedy hail from San Diego, California founded by brothers Jeremiah and Joshua Zimmerman. The brothers are backed by friend Chad Lee on drums, Justin Buchanan (we'll get to him in a minute), and on this night, Elijah Ford played along. They're a versatile group, playing everything from radio-friendly indie-rock like their new single "God Neon," to covering Johnny and June's "Jackson." They sing beautiful harmonies, and scream while head-banging, all within the span of two songs. These guys show such raw emotion, screaming "I'm doing just fine" in "Gasoline" as if to convince themselves of the notion. The band blew the roof off from the first note. They were loud, to the delight of the dozens of fans who roughed out a monsoon to hear them on this night at the Larimer Lounge in Denver. Joshua Zimmerman walks his bass, and screams his songs with almost metal vocals, all the while swinging his long hair and flashing Charles Manson-esque eyes. Meanwhile, brother Jeremiah sings the folkier numbers while jumping back and forth between piano and guitar. 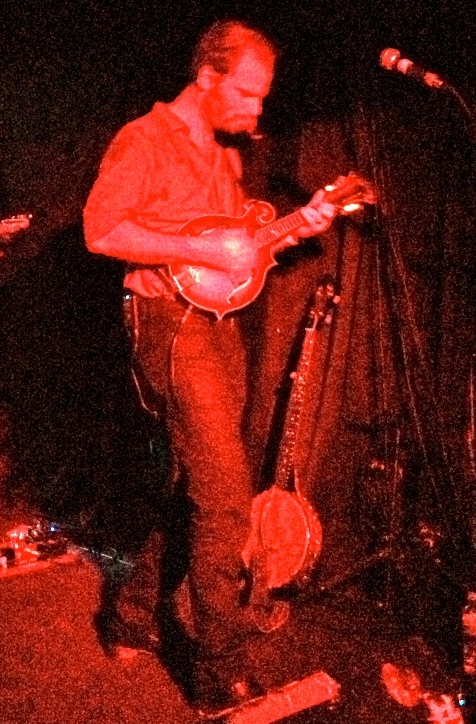 Possibly my favorite member to watch: Justin Buchanan; mainly for the floppy hair and handlebar mustache, but also because he moves back and forth between his banjo and mandolin with ease, and it doesn't have to be a bluegrass pickin' or country song for him to rock out. The Zimmerman's father was a preacher, and it comes out in some of the tracks - namely "The Well." This one was fun, to say the least. Before it even started Jeremiah announces "This song is a little bit about going to church & a lot about drinking whiskey," and it was. By the end of it, the crowd became the chorus echoing "amens." The Silent Comedy is certainly something to behold, but it must be done live. Don't go searching online and write me off because you aren't impressed. Trust me, the album doesn't do this band justice.